Democrats favor repeal, while Republicans still support the law after Pinellas County Sheriff Bob Gualtieri said the 'stand your ground' law left him no grounds to make an arrest in the shooting death of Markeis McGlockton. 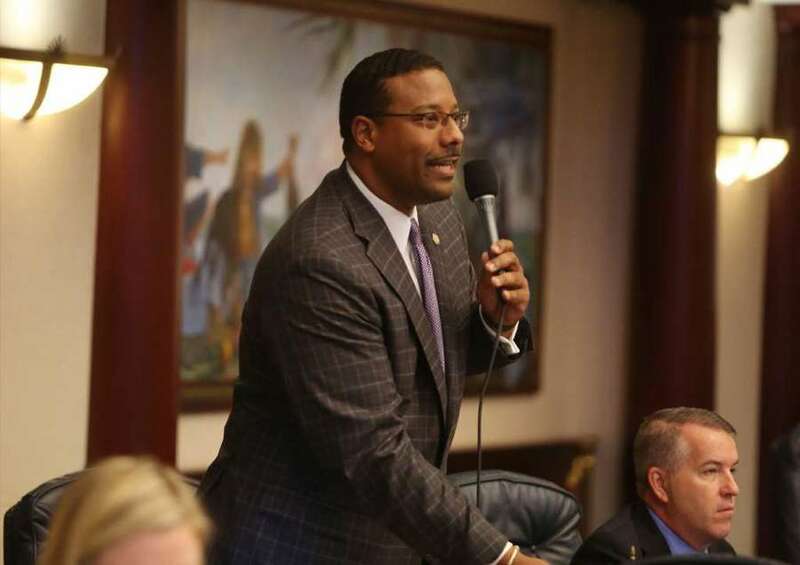 Florida's "Stand Your Ground" self-defense laws are a clear division point between the two Democrats and two Republicans in the state attorney general's race, and that division showed in responses to questions Monday about the Markeis McGlockton shooting. Democrats Sean Shaw and Ryan Torrens both responded by calling for repeal of the law and saying they would work for that goal as attorney general. They said Stand Your Ground it has made Florida more dangerous and hinders law enforcement. Republicans Ashley Moody and Frank White both said the law ensures that individuals have the right to defend themselves and should not be changed. Moody said Michael Drejka, shown in the graphic video shooting McGlockton in the chest, could still be charged by the state attorney even though Pinellas County Sheriff Bob Gualtieri said the law left him no grounds to make an arrest. White said he agrees with Gualtieri's decision not to make an arrest, based on the video. * Torrens, a Tampa consumer foreclosure lawyer, said the "was not necessary, but was another opportunity for politicians to do the bidding of the National Rifle Association." He said its requirement that prosecutors disprove a self-defense claim is illegal and unconstitutional. "Our politicians and the NRA have now made it much easier violent criminals … to get away with murder. … I will not defend it as attorney general. I will instead immediately seek to change the law to return to our state's traditional self-defense concept." * Moody, a former judge and prosecutor from Tampa, said the incident doesn't constitute an argument for changing the law. She expressed sympathy for McGlockton's family, but said, "A person has the right to protect oneself if he or she reasonably believes it is necessary to prevent imminent death and great bodily harm. The video is just one part of the story … In the end, I am sure the state attorney will make the right call on whether Mr. Drejka should be charged." She said Gualtieri handled the case properly, conducting an investigation and turning the findings over to the state attorney. * White, a Pensacola state House member and general counsel for a auto dealership chain, said the law exists "to ensure individuals have the right to protect themselves when attacked. Based on the video, I agree with the Sheriff's assessment … this man was attacked and he stood his ground to defend himself." In the House, "I was proud to co-sponsor legislation to strengthen our Stand Your Ground laws."